I don't mind working with code or structured text files in a plain-text editor like Textpad, but my ability to read and comprehend increases with an editor that performs syntax highlighting. 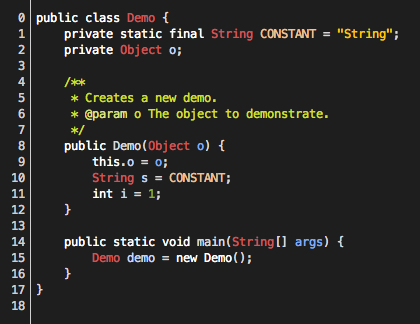 By default, Eclipse does a pretty good job of syntax highlighting Java files without going overboard. But, if you want a fresh look -- maybe you want to try a dark background -- the Eclipse Color Theme plugin lets you change whole editor themes with the click of your mouse. The Eclipse Color Theme plugin is free and so are the themes. So far I'm liking the dark Oblivion theme, shown below.